Turn your F550 into a heavy lifter! 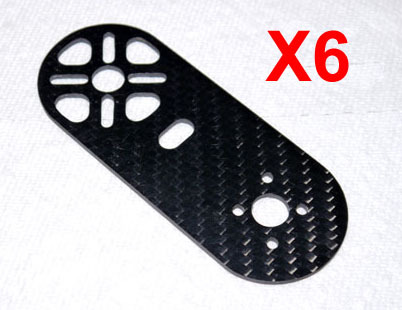 These carbon fiber Flame Wheel motor extension plates are a great upgrade to your F-series. They increase the arm span on the F550 increses to 670mm. 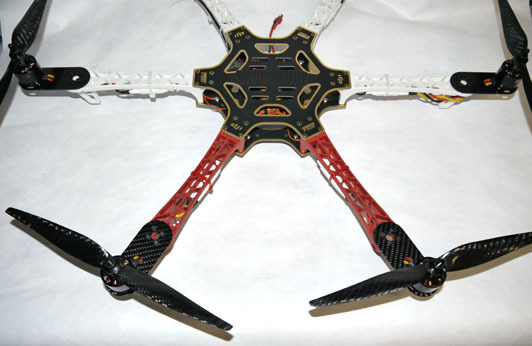 With the larger arm span, you can run up to 12" props so you can fly with bigger motors like Avrotos, RcTigers, and many others. This increase in lift turns the F550 into a heavy lifter. Combine that improved lift with the CarbonGear 200mm F550 Carbon Fiber Landing Gear, 7mm Rail Mount Kit and the Photohigher AV130 for a easy to fly, reliable, economical aerial photography platform.